The 2013 Eastern Cape ICT summit was hosted from the 5th -7th November, at the East London International Conference Centre. Mobile Applications was the theme and focus this year. The event was graced by dignitaries such as the Eastern Cape MEC – Local Government and Traditional Affairs, Mr. Mlibo Qoboshiyane, SITA’s Freedom Nomvalo and Mr. Andile Ngcaba from Dimension Data, amongst others. Prof Alfredo Terzoli, one of the 23 speakers, and accompanied to the event by Prof Mamello Thinyane, Ms Nyalleng Moorosi, Ms Mathe Maema and Ms Sibukele Gumbo. 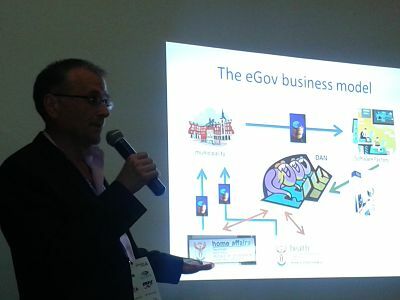 Prof Terzoli presented a seminar entitled ‘E Gov. Services as a way to sustain ICT infrastructure in poor areas’. You may view his session on this Youtube video (starting at 1h 16 minutes).